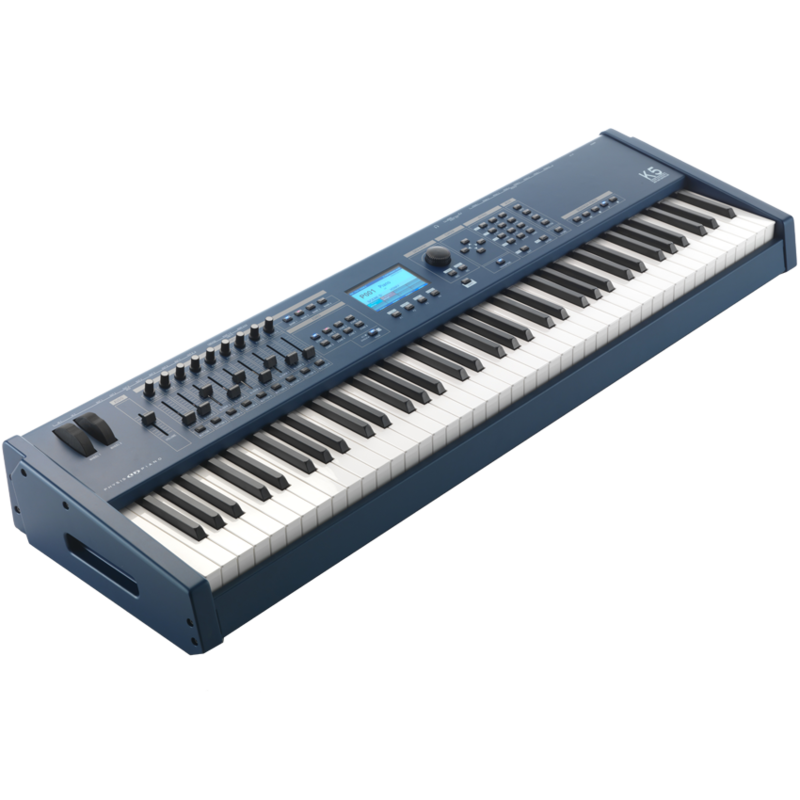 Designed to satisfy players who need the outstanding power of a professional MIDI controller combined with the feel of a real piano, the K4 features 88-note, (76 for K5), Weighted hammer-action keyboard able to provide an impressive feel and response. A complete set of 27 Full Assignable real time Controllers, 256 indipendent Midi Channels on 8 zones, 4 USB host ports, tons of programable scenes, will be able to allow a complete control over music softwares or the most complex MIDI enviroment. The instrument is expandable with Physis Piano “Physical Modeling Piano Board” making this keyboard really interesting choise either for stage and studio.